How did everyone feel about Kenya icing them out of her wedding? 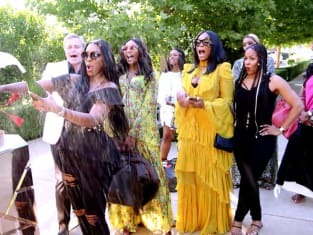 That was the big question The Real Housewives of Atlanta Season 10 Episode 1 when the new wife returned home and realized everyone knew her secret. Meanwhile, Kandi found herself struggling in the midst of business issue at the OLG restaurant. Also, Porsha struggled to let any of the women back into her life after what happened with Phaedra. Did any of them win her over? Use the video above to watch The Real Housewives of Atlanta online right here via TV Fanatic. Get caught up now!